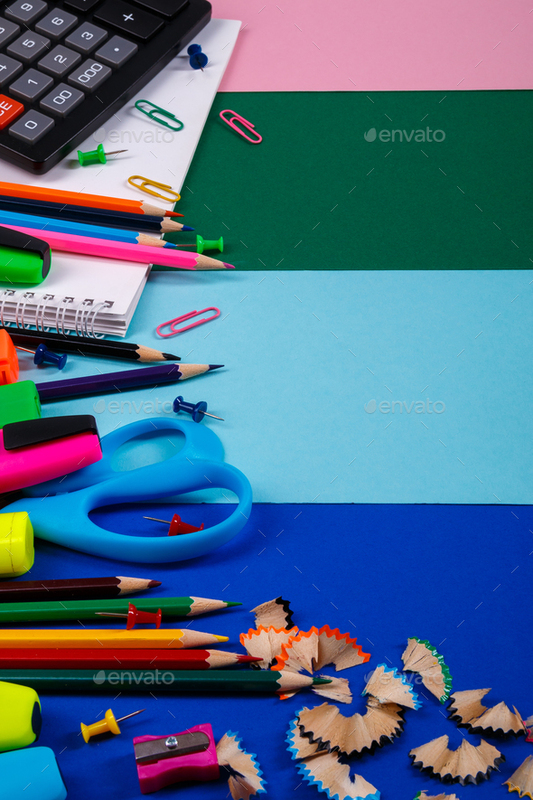 School or office stationery on colorful background. Back to School. Frame, copy space.